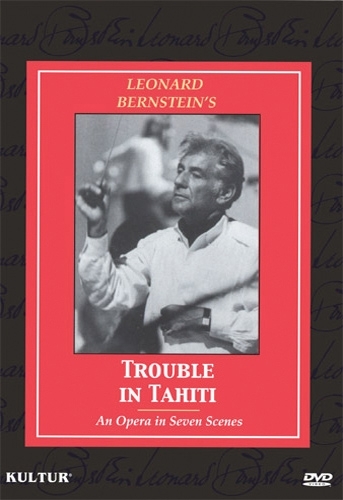 Leonard Bernstein’s 1951 opera is a biting satire on the emptiness of materialist values and the false promise of suburban comforts. 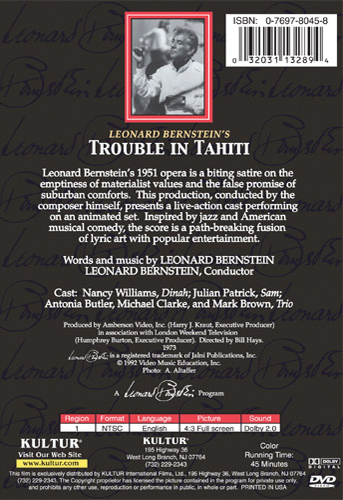 This production, conducted by the composer himself, presents a live-action cast performing on an animated set. Inspired by jazz and American musical comedy, the score is a path-breaking fusion of lyric art with popular entertainment. This is an opera in seven scenes.